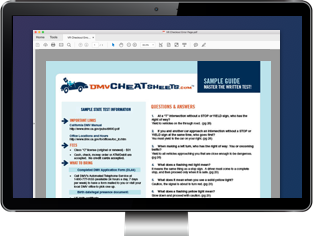 The New Hampshire Division of Motor Vehicles (DMV) provides many vehicle and driver forms online, which you can access below. You will need the free Adobe Reader to download and fill out the forms. Keep in mind that some forms may only be available in person at your local DMV office, and others may be on our NH driver handbook or motorcycle manual pages. If you need help completing or finding the right form, call the DMV at (603) 227-4000 for further assistance. Apply for an original, renewal, OR duplicate NH driver's license, identification card, motorcycle endorsement, OR limited privilege license. Notify the NH DMV of a name change to be reflected on your driver and vehicle records. Request a change to the personal information (e.g. address, name, donor registration) on your driver and vehicle records with the DMV. If you're temporarily living outside of New Hampshire but need to complete the required eye examination to maintain your NH driver's license, complete this form and mail it to the DMV. Must be completed by an eye doctor or licensed examiner. You must sign this form when enrolling in a Motorcycle Safety Foundation course as part of applying for a New Hampshire motorcycle license or endorsement. Register for a motorcycle training course through the NH Division of Motor Vehicles if you're applying for a motorcycle license or endorsement. Parental consent form required for NH driver's license applicants who are minors. Use this form to register your off-highway recreational vehicle (OHRV) each year with the NH Fish and Game Department. Submit this form when titling a reconstructed vehicle OR homemade trailer with the New Hampshire DMV. If required, have an approved officer (listed on the form) verify your vehicle identification number (VIN) and complete this form for title and registration purposes. You must submit this form to the New Hampshire DMV if you're involved in a car accident that resulted in death, injury, or excessive property damage. Submit this form to request a fee waiver when renewing your NH driver's license. You must have been in the armed forces and a resident of New Hampshire when your service started. Form must be signed by a commanding officer. Apply for permanent OR temporary walking disability placards OR plates with the New Hampshire Division of Motor Vehicles. Must be completed by your medical provider. Use this form to register to vote AND/OR request an absentee ballot if you're a U.S. citizen living outside the country.